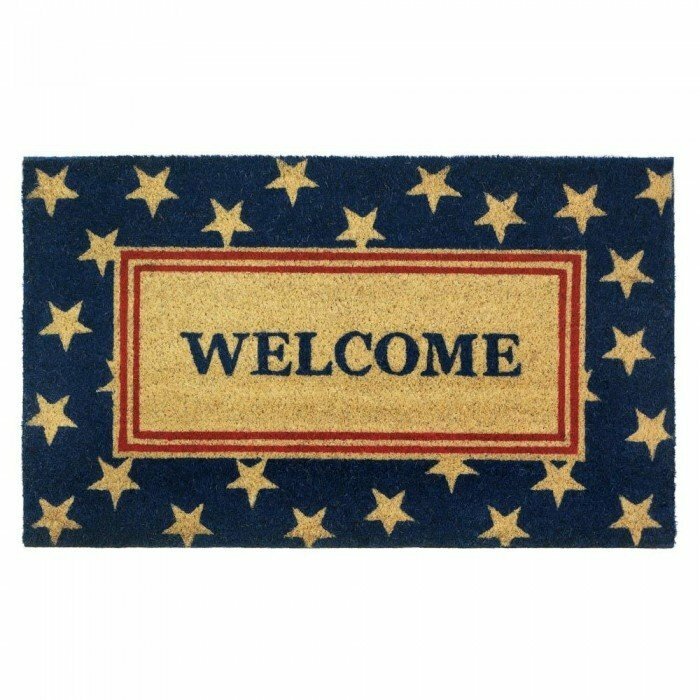 PATRIOTIC WELCOME MAT by Summerfield Terrace home decor, jewelry, decor, decorations, electronics, fountains, floor mats, art glass, vases, garden essentials, fireplace screens. Welcome your guests in the most patriotic way! This cool coir mat features a bold blue border with white stars, red stripes and a bold blue Welcome. Material(s): COIR PVC. Weight 4.4 pounds. Dimensions 30" x 18" x 0.5".